Kaundinya wildlife Sanctuary is a homeland for the various animals and birds. 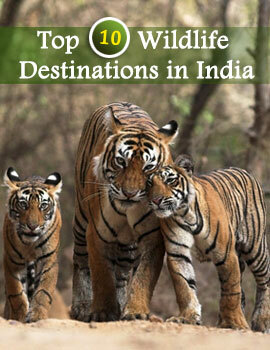 A tour to the wildlife sanctuary will surely make the tourists to enjoy thrills in sanctuaries of Andhra Pradesh. Kaundinya Wildlife Sanctuary is tourists’ delight. On one side the unbound nature and on the other side the endangered spices in their natural habitats makes a perfect tourist destination. Located in Palamaner of Andhra Pradesh, the sactuary is the best place to experience different elements of nature. Kaundinya Wildlife Sanctuary covers an area of 358 sq kms and this jungle consists of wild animals like Cheetal, Antelopes, Sanbhar, Mouse Deer, Hare, Porcupine, Wild Boar, Jungle Cat, Sloth Bear, Panther, Elephants and Jackal. These animals are given the scope to grow and regenerate in a safe and healthy ambience. In the months of winter the lake and the pools of the sanctuary remains crowded with various colorful migratory birds. The Wildlife Sanctuaries help to save the life of wild animals as they are in the roads to wipe out due to fast growing modern civilization. This sanctuary helps various species to get the scope to enjoy the life and increase their number to maintain ecological balance. The Kaundinya wildlife sanctuary, Andhra Pradesh is covered with tropical forest vegetations where the trees like Bamboo, Ficustomentosa, Ficusreligiosa, Ficus Bengalensis and Albiziaamara are the main trees that can be located in Kaundinya Wildlife Sanctuary. Rugged high hills, deep valleys with stream make a picturesque view. Two streams add life to the jungle, they are Kaigal and Kaundinya. Bird watching, jeep safaris, elephant rides will take the tourists in the interiors from where the tourists can spot the animals in their respective habitats. 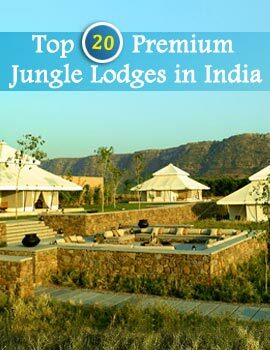 To stay overnight, tourist lodges near by will surely make the stay comfortable and exciting. The best time to visit the Kaundinya sanctuary is from the month of October to May.